For Immediate Release: Posted On 10/30/2015 By Industrial Magnetics, Inc.
Industrial Magnetics’ new PowerGrip Plus is designed to protect worker’s hands from injury by providing a fast and safe method for moving & handling heavy, hot or sharp parts from cutting tables, stamping machines and other processing operations. The hand-held magnetic tool is constructed with a light-weight, non-conductive nylon handle and a powerful magnet for picking up steel parts. A key feature of the PowerGrip Plus is its easy, side-roll release handle, which allows the user to quickly break the magnetic attachment to the work-piece by simply rolling the PowerGrip to the side. 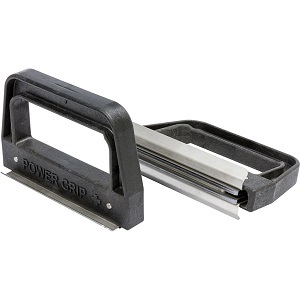 The PowerGrip Plus is available in three different types of magnetic material, which are temperature rated as follows: Ceramic, Max 300° F (148°C); Neodymium, Max 180°F (82°C); Samarium Cobalt, Max 392°F (200°C). For more information or to order online, visit Industrial Magnetics’ website at www.magnetics.com and search for PowerGrip Plus. For additional product or application information, please contact customer service at 888.582.0822.